Peabody, MA - January 30, 2018—In 2002, Gina (Archibald) Fernandez, was a student at Peabody High and applied to work on the wait staff at Brooksby Village. Now, 16 years later, she is a Sales Manager at Brooksby Village. Fernandez received the Brooksby Village Student Scholarship when she graduated Peabody High School. She then went on to Salem State University and continued to work in Dining Services at Brooksby Village. Once she graduated from Salem State, she was hired as the Administrative Assistant for Dining Services and then in 2011 she was promoted to Human Resources Coordinator. In 2012 she was hired as a Sales Associate and in 2013 she was promoted to Sales Manager at Brooksby Village. There are approximately 900+ full and part-time employees at Brooksby Village Employee benefits include tuition reimbursement, 401K, paid time off, comprehensive medical benefits, on-site employee health and wellness centers, employee discount programs and much more. In 2017 Brooksby Village promoted 43 employees. 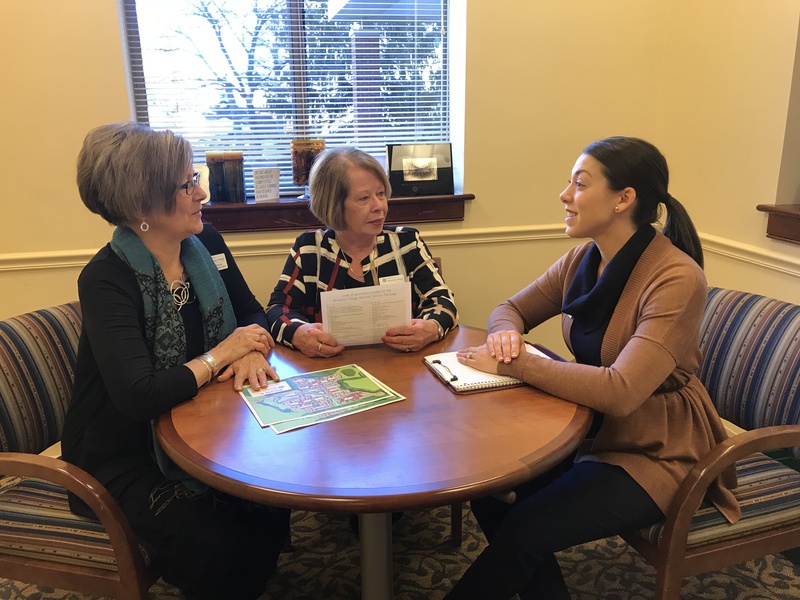 Photo: From left to right; Diane DeRoche, Senior Sales Associate, Brooksby Village; Barbara Nunes, Sales Associate, Brooksby Village meeting with Gina Fernandez, Sales Manager, Brooksby Village to discuss all the appointments for the day in the Sales Office. About Brooksby Village: Brooksby Village, one of 19 continuing care retirement communities managed by Erickson Living®, is situated on a scenic 90-acre campus in Peabody, Massachusetts. The community is located in Essex County and is home to nearly 1,800 residents. Additional information about Brooksby Village can be found at BrooksbyVillage.com.